Give your church or group a central spot to pick up decorative shoeboxes to pack for boys and girls in need. 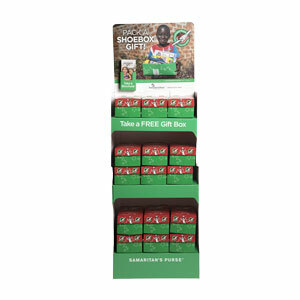 In addition to drawing people in with a picture of children opening shoeboxes, each display holds approximately 15 assembled cardboard boxes. Shoeboxes not included.